A 50-year-old bicyclist suffered life-threatening injuries Tuesday when he was struck by a vehicle in San Diego's Teralta West neighborhood. SAN DIEGO (CNS) - A 50-year-old bicyclist suffered life-threatening injuries Tuesday when he was struck by a vehicle in San Diego's Teralta West neighborhood. 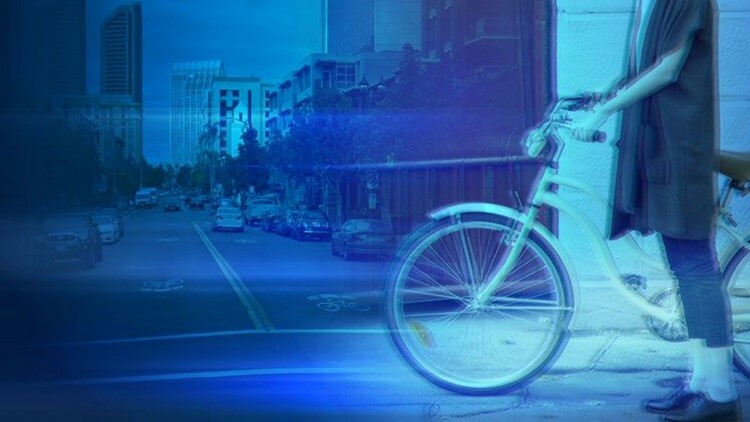 The man was cycling southbound in the 4300 block of 41st Street and rode into the intersection at El Cajon Boulevard, pedaling into oncoming traffic, according to San Diego police. A 33-year-old woman driving a 2010 Dodge Caliber west in the 4100 block of El Cajon Boulevard struck the bicyclist, police said. The man was taken to a hospital for treatment of injuries considered life-threatening, police said. Neither drugs nor alcohol were suspected as factors in the collision.